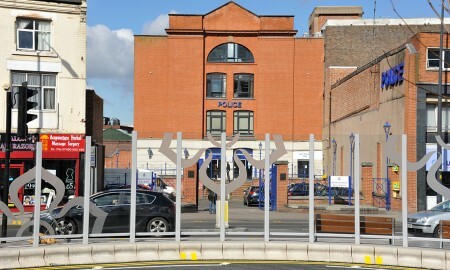 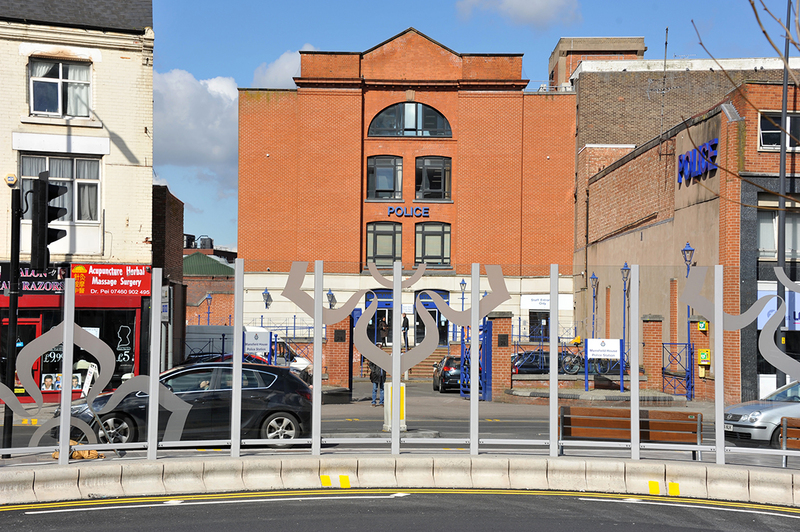 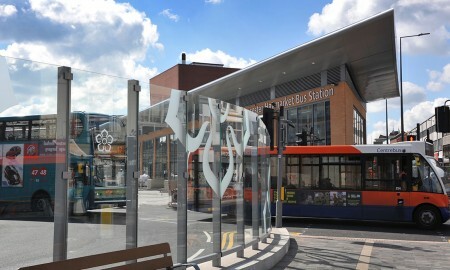 Principal Contractor: GF Tomlinson Ltd.
Leicester City Council are undertaking an ambitious plan to redevelop major areas in and around the City Centre under the banner ‘Connecting Leicester’. 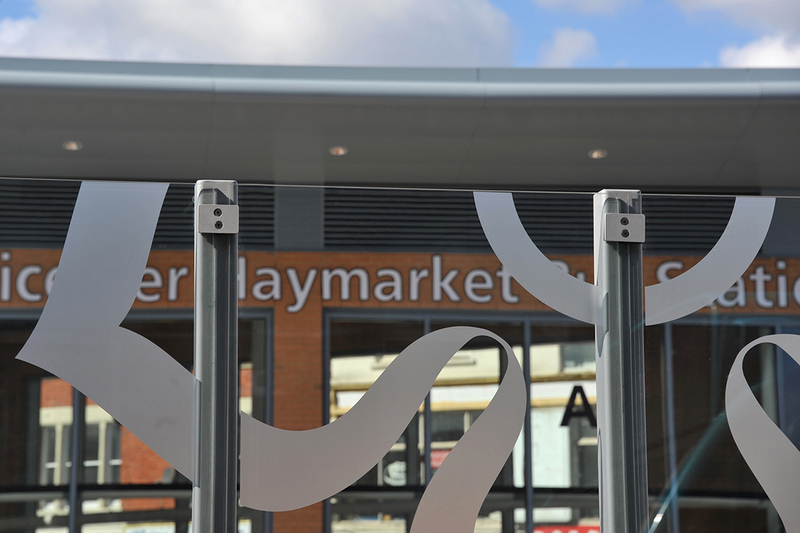 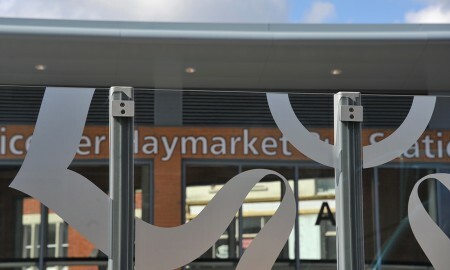 The brainchild of City Mayor Peter Soulsby this vision sees large areas of the City transformed with new pathways, paving, cycle lanes and on street furniture along with a total redevelopment of the Market and Bus Station areas. 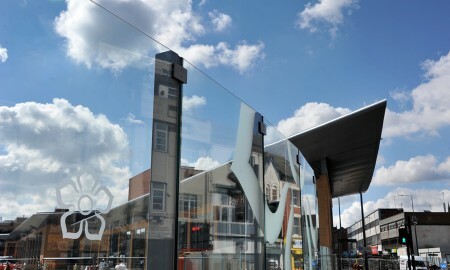 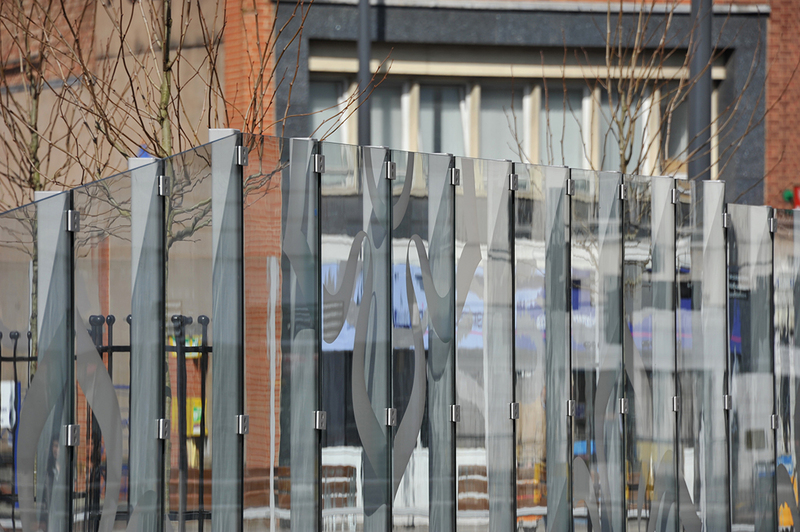 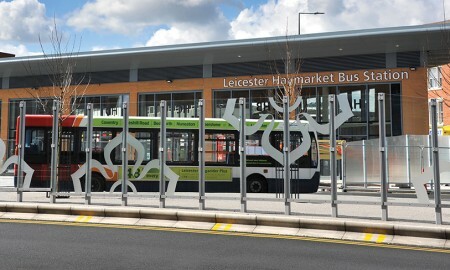 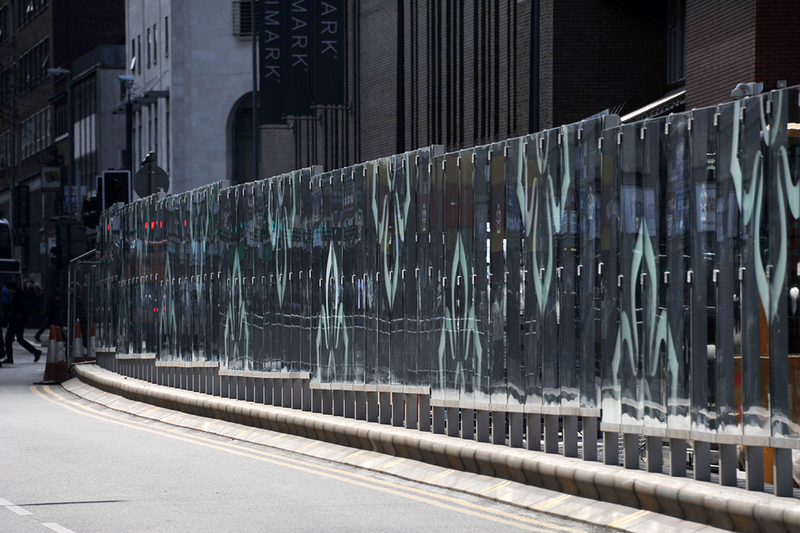 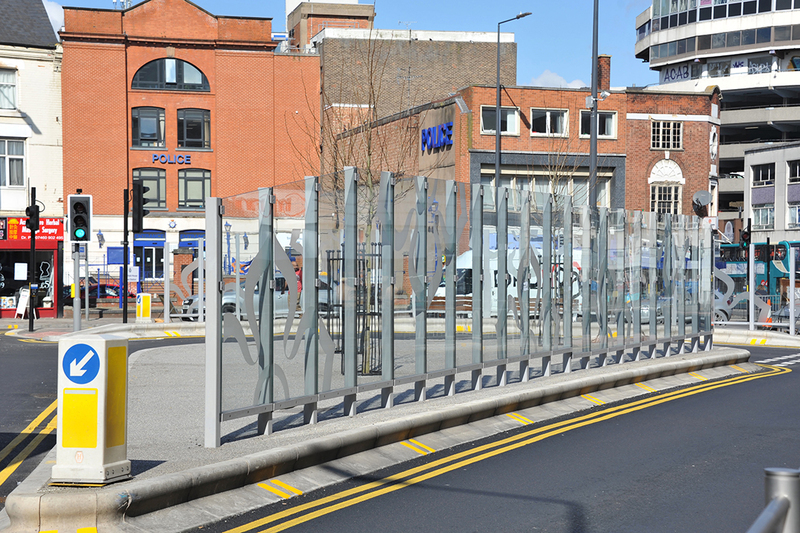 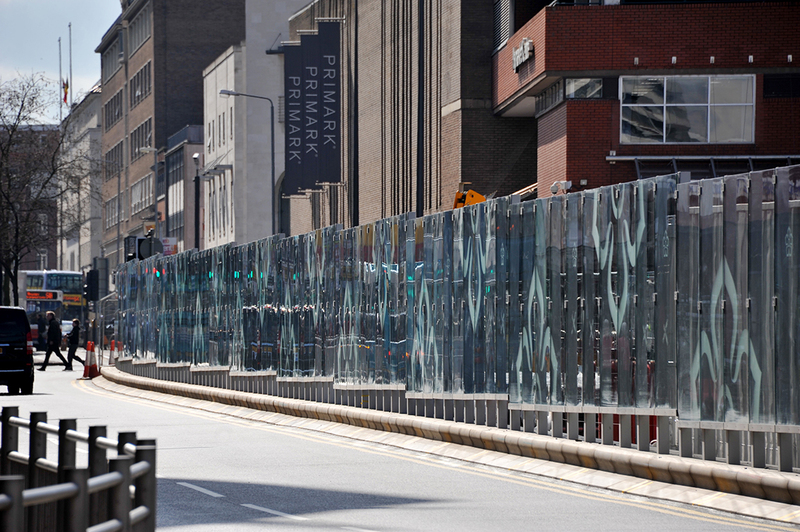 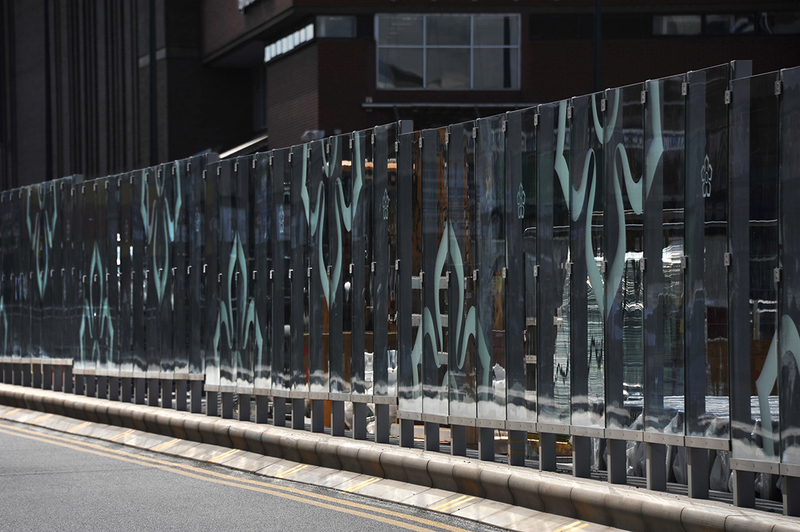 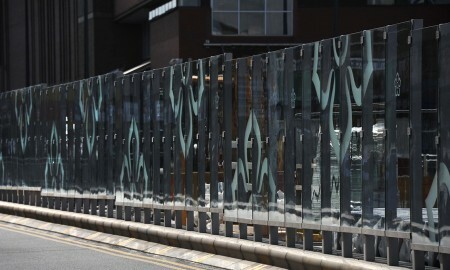 Broxap were commissioned to work with contractors GF Tomlinson Ltd. to create a series of glazed pedestrian screens as the Haymarket Bus Station redevelopment site. 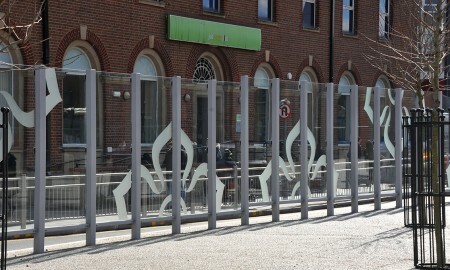 These will be used in four areas of the finished development to act as segregation between pedestrians and vehicles. 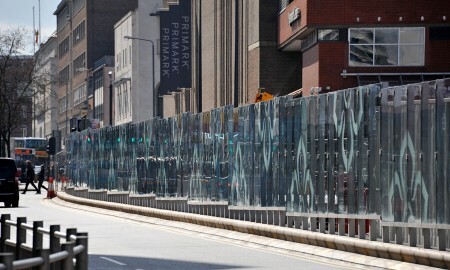 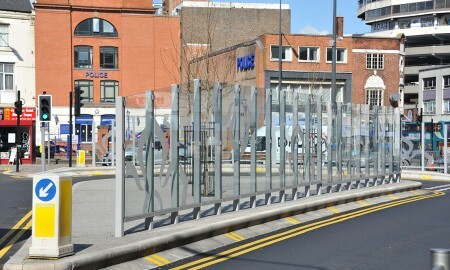 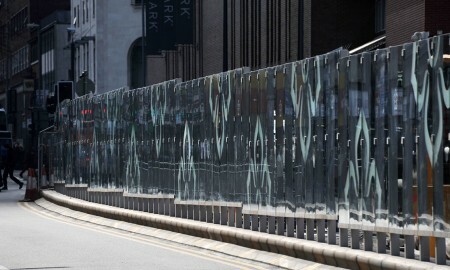 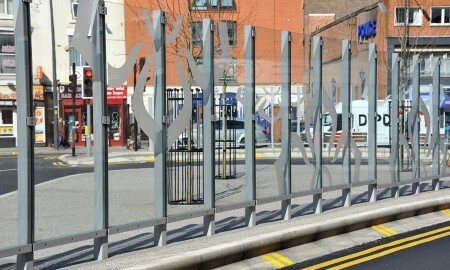 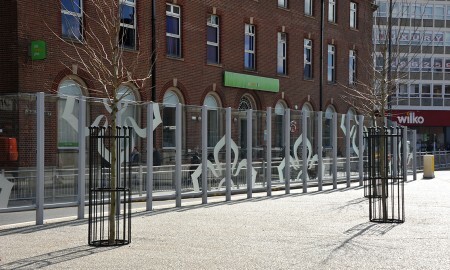 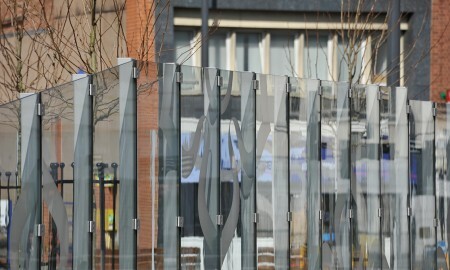 The glass screens feature across four areas Cleaver Island, Teardrop Island, Charles Street and Belgrave Gate. 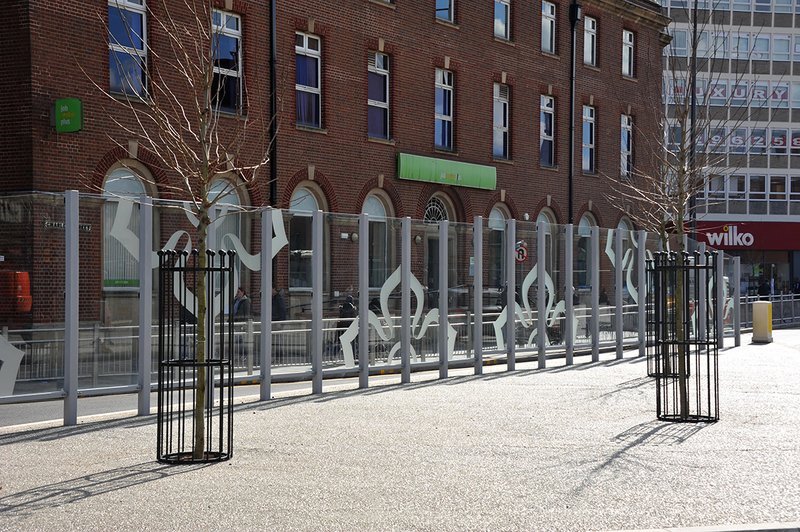 Incorporated into the design and applied to the toughened glass are a series of ‘English Rose’ style decal designs. 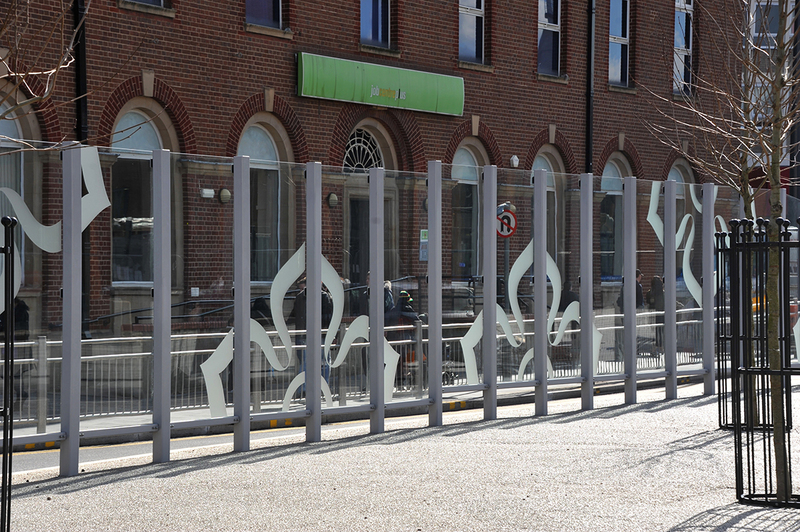 The steel and glazed pedestrian barrier is light, airy and provides a clear way finding feature and distinctive barrier between pedestrian and vehicle. 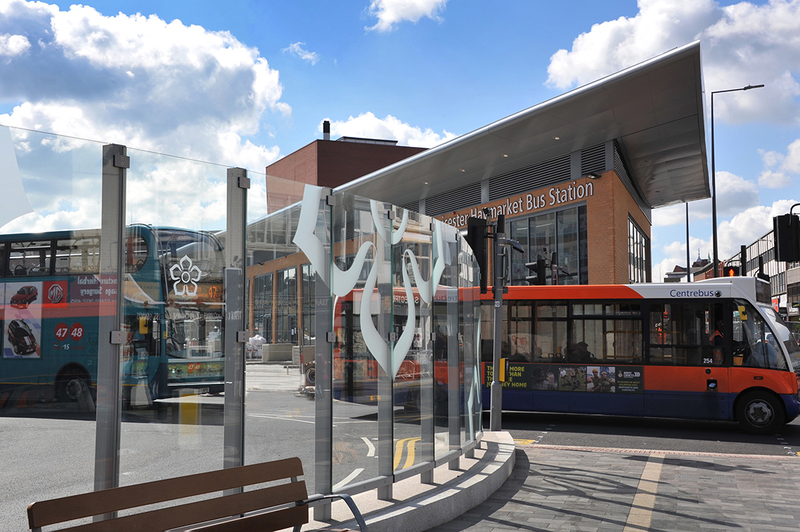 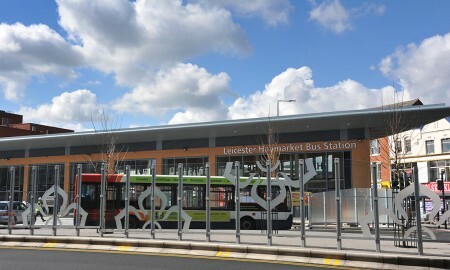 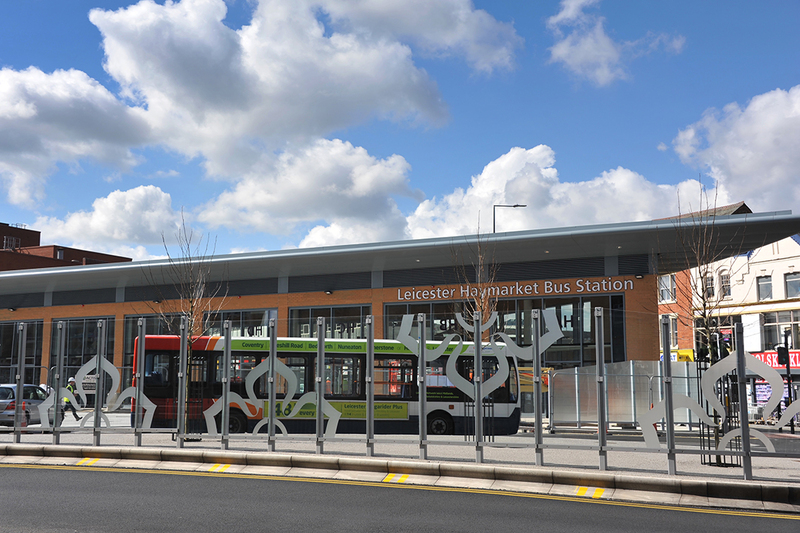 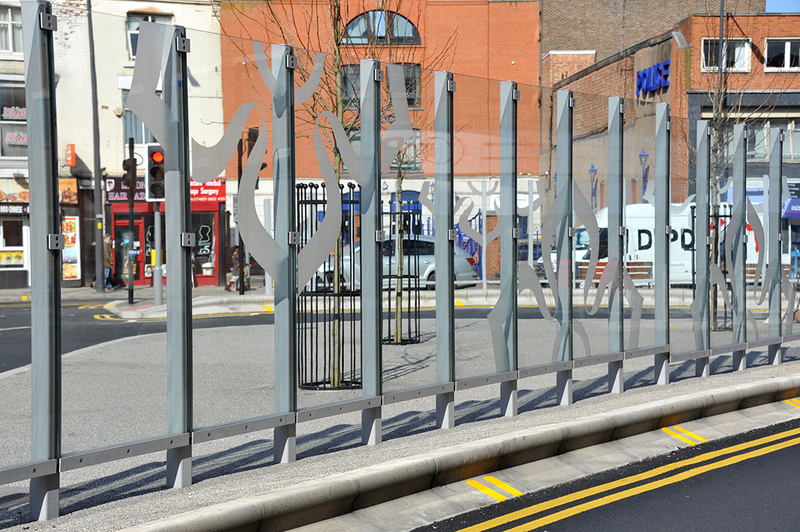 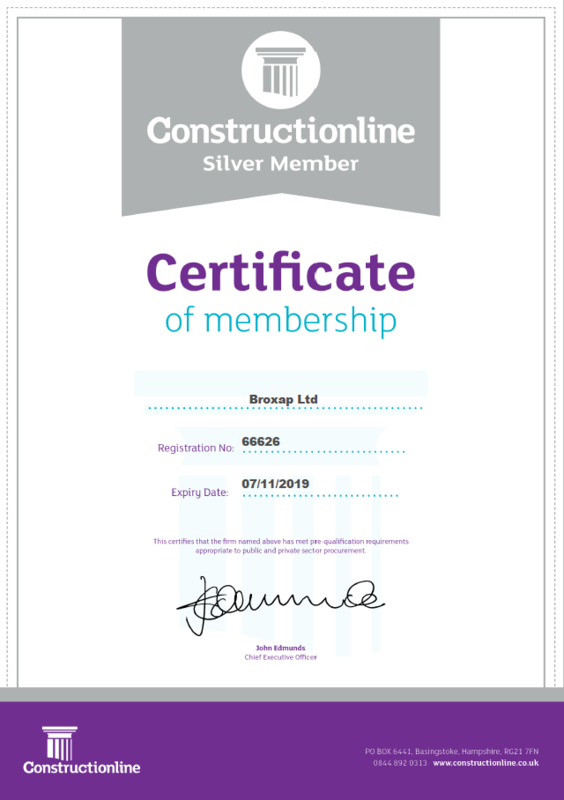 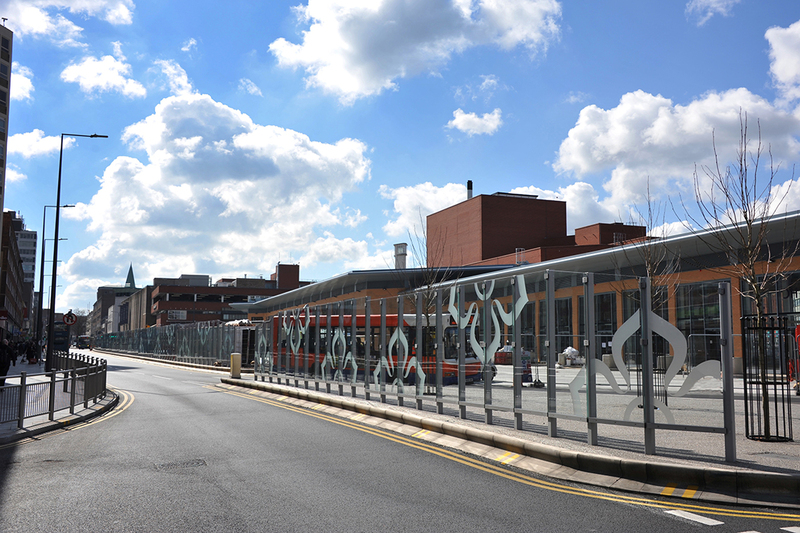 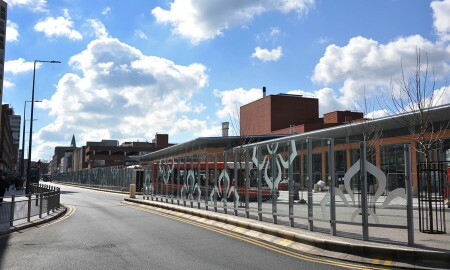 Broxap also provided a further five areas around the Bus Station with contemporary stainless steel pedestrian guardrail to complement the scheme.